The two players, who finished with 21 points, were key in the local victory. D'Angelo Russell (25 + 2 + 4 + 3), again the best in the Nets. The Nets arrived in Boston with the intention of hitting the table. The second best team of 2019, with eight victories in the last ten games, visited the team that had immediately ahead in the standings (although at a considerable distance). One of the big five of the East that played without Kyrie Irving. An opportunity to show that his streak was real. It could not be. The Celtics did not allow their rival to raid one of the toughest courts in the league, but where they have already taken the surprise victory several teams in what is being a season with disconnections of the Boston. 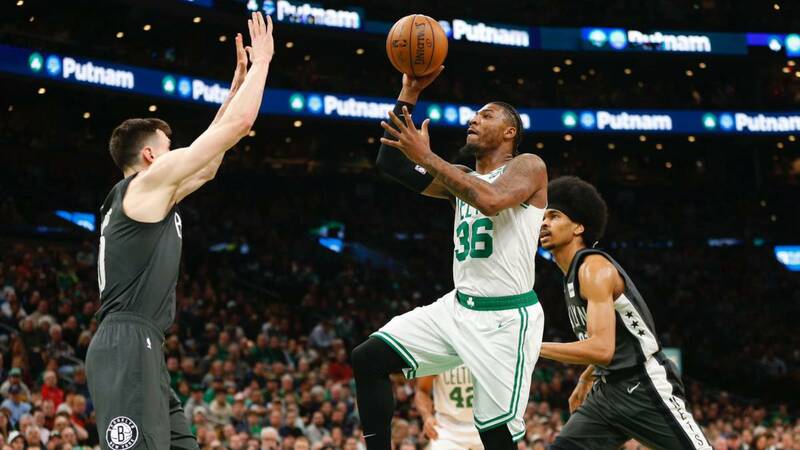 Marcus Smart, who had a pique with the bench of the Brooklyn in the last game, left hipermotivado and putting everything. And to each basket that entered him he turned to look at the substitutes of the Nets. Se arrived at halftime with local advantage (60-50), but then D'Angelo Russell appeared with an impressive third quarter. A performance that begins to be habitual in him and that can give him his first All Star. The base, practically alone, overcame the result and put ahead to his. He finished with 25 points and 50% in shots, both of two and three. There came the figure of Jaylen Brown. The player, who has planted doubts about his growth throughout the season, linked several minutes in the last quarter in which he pulled his team when more doubts hovered in the head of all. 21 points and 6 rebounds for him. Also with 21 points (and 7 assists and 5 steals), Smart finished, that put the triple that ended the hopes of the Nets. And a curious fact. Al Horford (14 + 11 + 5 + 6) is the first Celtic to sign a 10 + 10 + 5 + 5 from Robert Parish in 1986222222.